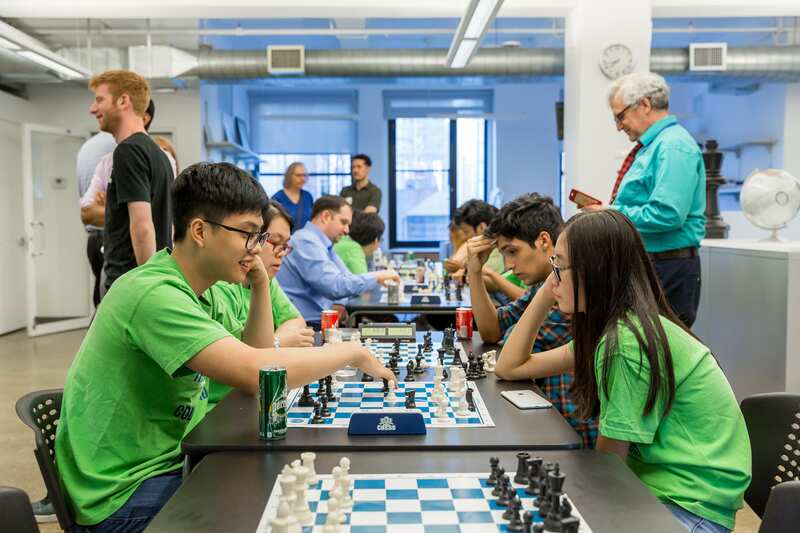 Chess in the Schools recently held our first-ever Chess KnightClub at our new offices on the 22nd floor of 520 Eighth Avenue. With over 40 attendees, there was non-stop chess, including blitz games against a Grandmaster, and a simul against an International Master. We provided complimentary snacks and beverages. The night was a great success! The event was hosted by GM John Fedorowicz. 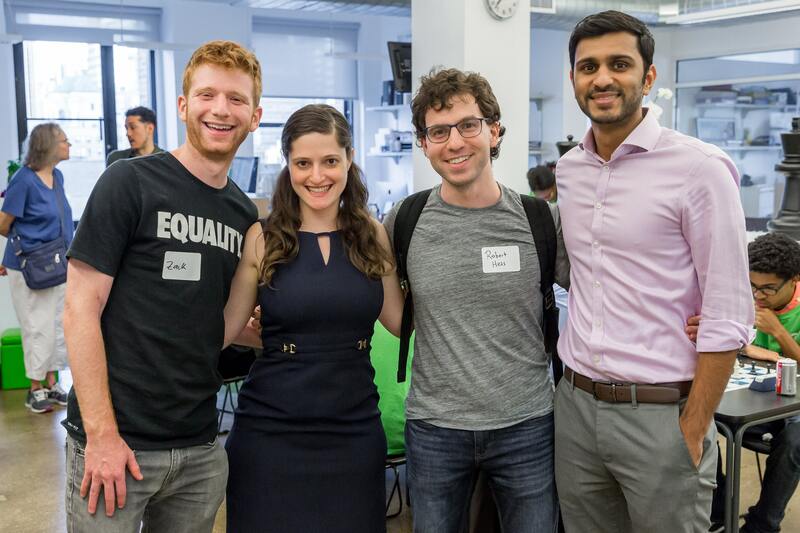 CIS College Bound students, alumni and Board Members gathered with local chess enthusiasts for an incredible night of friendly competition. 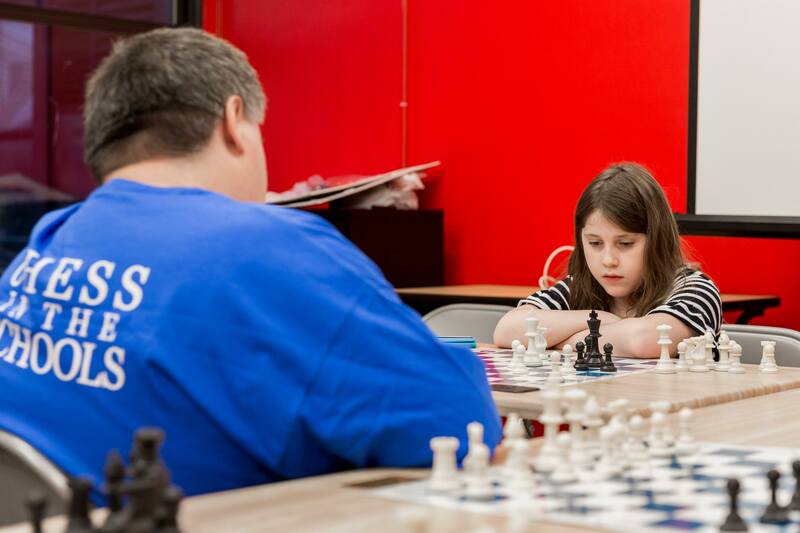 Elementary Student, Rose Morden, was the last one left in the simul against IM Yury Lapshun. We look forward to having more Chess KnightClub events and growing our relationships with the chess community! Check out more pictures on our Facebook! Email us if you’d like to join us for a future Chess KnightClub.